EAST ART's WALK Thursday May 10th at Denver East High School from 5-8pm All students are required to attend 1 hour of the three hour event. Families are encouraged to join. This event involved ALL performing and visual art students at East! Join East students and local businesses in out largest art show of the year! You don't want to miss out! 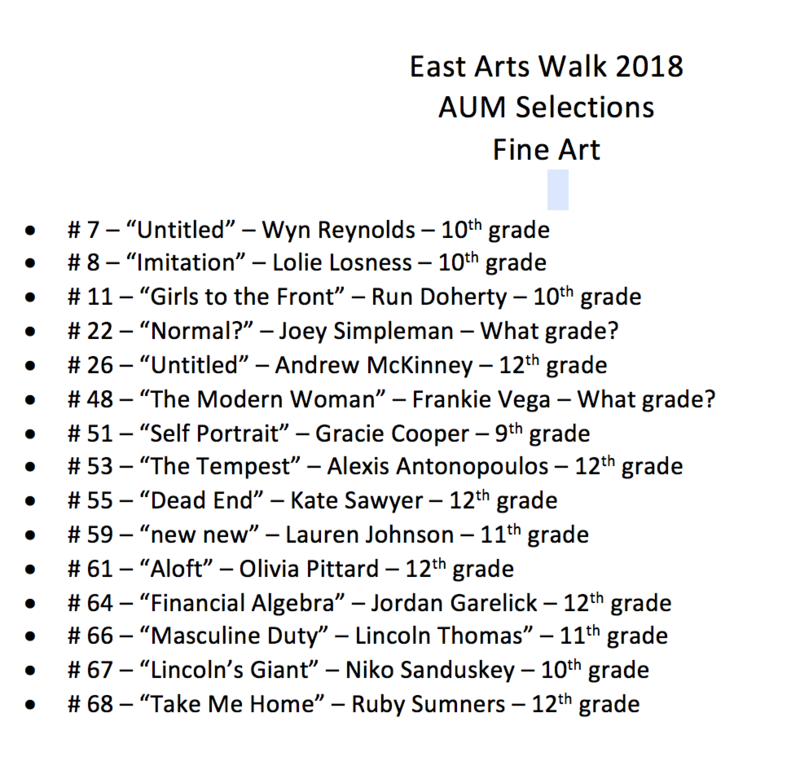 CONGRATULATIONS TO THE FOLLOWING STUDENTS FOR GETTING THEIR WORK INTO THE AUM GALLERY ON COLFAX. The work will be available to purchase during Art's Walk on May 10th.